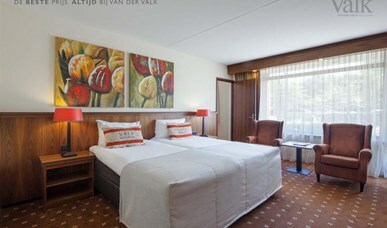 Our family rooms are spacious and consist of two separate rooms: one for the parents and one for the children. These rooms offer contemporary luxury and are furnished for 4 persons. The modern bathroom features a rain shower, toilet and whirlpool. Furthermore the room is equipped with telephone, LCD-tv, in-room safe, small fridge for personal use, wireless internet connection and balcony or terrace.